The battle between the generations has always made for enticing cinema. Yet nowhere in history has the generation gap between the young and the little older been more apparent than in our technologically advanced world where there are so many websites to ‘connect’ us all yet so less ‘human’ connection. ‘LOL’ navigates in the no man’s land between the two generations and though there’s really nothing new, its light, breezy manner and gentle humour that thankfully works to push the drama forward than trying to force you to laugh and works to make a pleasant and fulfilling film. 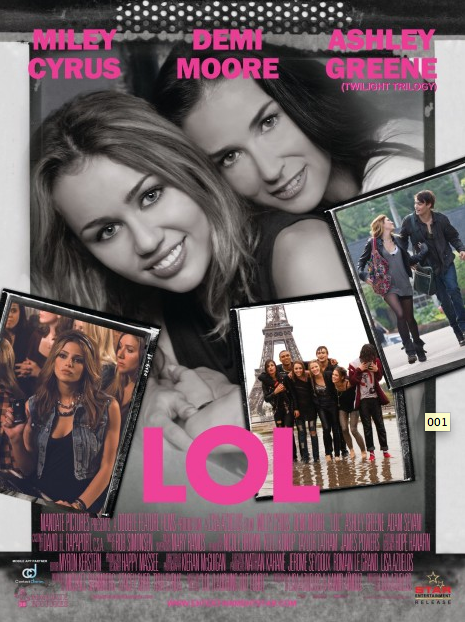 Movie Review: Agreed it’s a remake of the 2008 French Film LOL: Laugh Out Loud, but then there are many reasons to watch LOL. First for its handling of teens and their issues aplenty: they want to look as if they do not care when they actually do; SMSing and FBing is what they swear by; they cope each day to love, live and LOL (Laugh Out Loud); they don’t mind drooling over teachers; first time crushes and virginity issues are their driving forces. And then there are more — shapes of their assets, dealing with heartbreaks, infatuation…. On the other hand are parents with teens they find difficult to handle: the protective instinct of mothers; decoding teen lingo (and swear words); coping with teens who have iPods plugged into their ears just when they want to have a word or two; monitoring teens who want to get quick and dirty; ensuring teens make the right choice (bad lingerie is for girls with a bad future), teens and their diaries…. wow, now that’s a tough one! ouch!